Tractors, horses, pigs... and more! 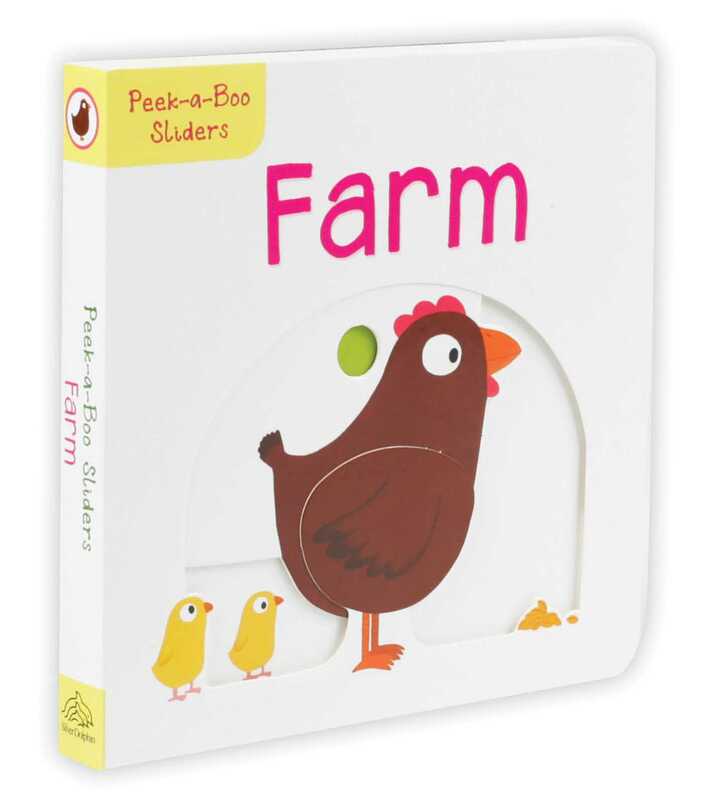 Peekaboo Sliders: Farm contains all the farm favorites—with movements! Slide the trailer as the tractor cruises by, lift the hay bale to see who's hiding. Youngsters will find entertainment exploring the farm and sliding along the way. Nathalie Choux began her artistic career making puppets in Prague. After earning her diploma in applied arts, she discovered her love for producing creative ceramics. Her ceramic creations influence her exuberant style in the children's books she has both written and illustrated. Nathalie also works for the press and in advertising. She currently lives in Montreuil, outside of Paris, France.